Thanks to this update on LinkedIn by lawyer Alexander Tyulkanov, I saw this GE Report, entitled “Honey, I Shrunk The Contract: How Plain English Is Helping GE Keep Its Business Humming.” It describes how GE Aviation’s Digital Solutions unit replaced their seven bloated and archaic templates, each a hundred pages plus, with a five-page plain-English contract. It’s a great story. 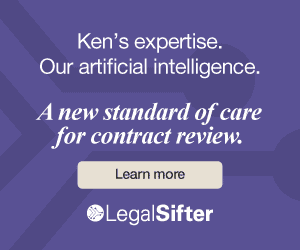 It reflects what I tell anyone who’s willing to listen: sticking with traditional contract language wastes enormous amounts of time, enormous amounts of money, hurts your competitiveness, and greatly increases the risk of a dispute over confusing contract language. Burton [then general counsel of Digital Solutions] harked back to his law school days when he studied Plain Language, a way to condense the written word to the clear basics. He dusted off his textbooks and, with the help of his GE language commandos, used it to write a new contract. “I applied a litmus test: If someone in high school couldn’t pick this up and understand it without any context, it wasn’t plain enough,” he says. 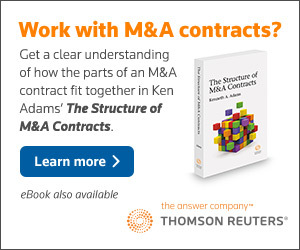 When transactional lawyers discover the idea of making contracts simpler and clearer, they’re prone to assuming that they’re the first to think of it, and that all that’s required is keeping handy a copy of, say, Richard Wydick’s Plain English for Lawyers. 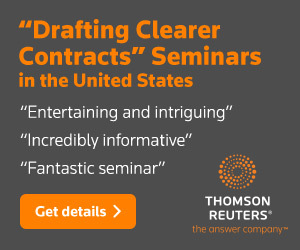 If it were that easy, I wouldn’t have spent twenty years studying how to make contracts clearer, and I wouldn’t have written a book (A Manual of Style for Contract Drafting) that, in its next edition, will be around 550 pages long. Contract language is limited and stylized, and there’s a lot at stake. Making your way through the minefield requires more than enthusiasm. And the notion of making contracts simple enough so a person in the street could understand them is a notion that has given “plain English” a bad name in transactional circles. (That’s why instead I refer to “standard English.”) Contracts are as complicated as they deals they have to express; sometimes those deals are very complicated. And sometimes you have no choice but to resort to terms of art such as security interest to express the deal, even though a high-school student wouldn’t know what to make of them. Leaving aside use of the first person and, it follows, use of will to express obligations, I suggest that During the contract term is expendable: unless it’s specified otherwise, a contract provision necessarily applies only during the term of the contract. (For more on that, see MSCD or this 2007 blog post.) And all of our legal obligations is a clunky and overbroad way of saying you’ll comply with the law. Neither party will be liable for failing to perform any obligation in this contract resulting from circumstances beyond the party’s reasonable control. My force majeure language (this blog post) is at the other end of the risk-assessment spectrum. Where you fall on that spectrum for a particular deal depends on the circumstances and what’s at stake.